Drakelow Underground Factory - Paul Stokes - Website chronicling the history of the Drakelow underground factory. Monkton Farleigh - Nick McCamley - Website dedicated to the most TOP SECRET former underground sites in the UK. Ring Bell - Steve Scanlon - The most definitive guided to the UK Cold War Communications Network. Struggle For Survival - Steve Fox - The most definitive guide to the RSG, RGHQ & UK Defence Network, during the Cold War. 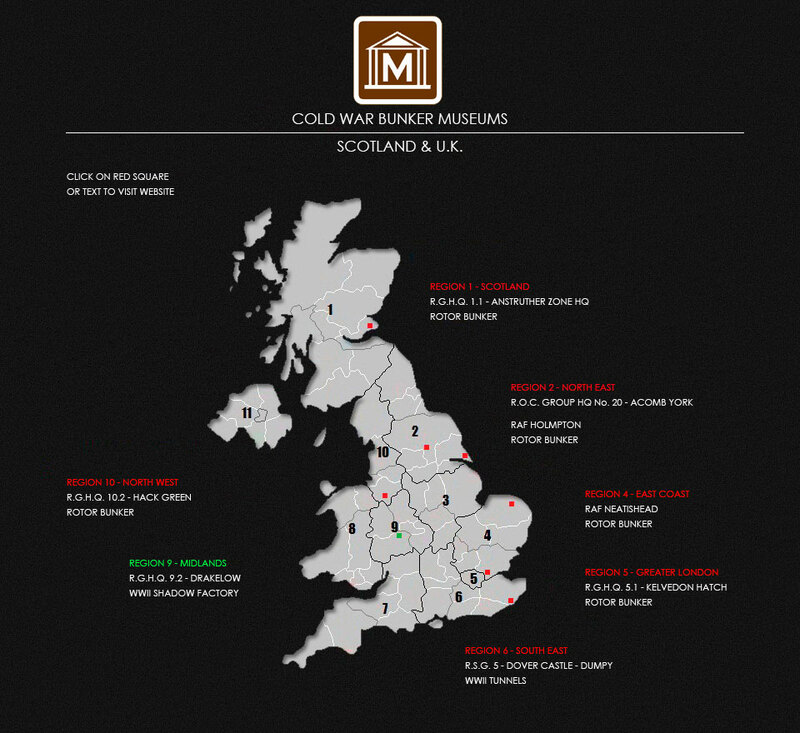 Royal Observer Corp Association - Website dedicated to the history of the Royal Observer Corp.
Barnton Quarry ROTOR Bunker - Website dedicated to the restoration of Scotland's Central Zone HQ, Barnton Quarry ROTOR Bunker. Atomica UK - George Coney - Website archive of "Protect & Survive" & UK Civil Defence Publications.